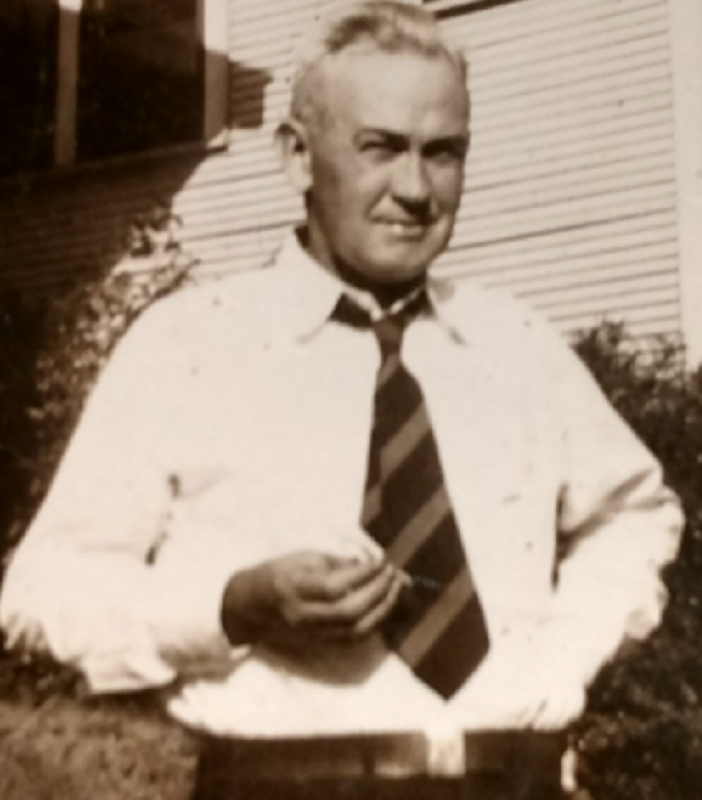 My maternal grandfather, Kyle Hobson Durant, was born in rural Shelby County, Alabama, in September 1899. At 18, he came to Birmingham to take a menial railroad-yard job held by his brother who was enlisting into World War I.
al education reached only 6th grade, his native intelligence and eagerness to learn produced a career that culminated in his serving as Superintendent of Car Services for Birmingham Southern Railroad, a subsidiary of U.S. Steel—essentially a vice-president-level job. But that was not his biggest accomplishment, as far as I’m concerned. What I most appreciate about Granddaddy is that he sought and embraced change. Not only did he choose to leave rural life and come to the city, he chose to adapt, to become not merely a country boy living in the city, but a fully-devoted city dweller. Upon promotion from the rail-yard to an office in downtown Birmingham’s Brown-Marx building, he relished the change. He told me of the thrill of wearing pressed white shirt and tie, of climbing on to the #5 streetcar in Ensley, of paying his nickel fare, of reading the Birmingham Age-Herald as the #5 rocked and clattered up Third Avenue, of lunching in downtown restaurants, of the banter and camaraderie among the throngs of city folks. “Things I couldn’t have imagined as a little boy,” he said. His two children—my mother, Sarah Jean, and uncle, Jack—would benefit from public educations superior to what they would have received in south Shelby County. Both would graduate college. Uncle Jack would attain a PhD in English literature. My grandfather had ridden change as far as he could, only to be booted from the train. But in doing so, he had radically altered the trajectory of our family—for the better, if you ask me.